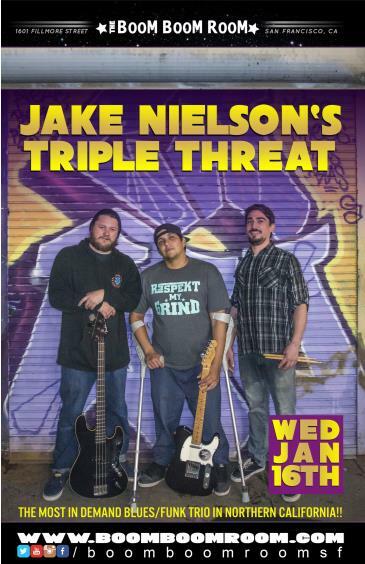 Jake Nielsen's Triple Threat is a little bit of Stevie Ray Vaughan. a little bit of the Chilli Peppers and a little bit of Sublime. Together these 3 Men have become a Triple Threat to the music scene! They are a genre bending group with the ability to entertain any crowd in front of them, no matter what age. 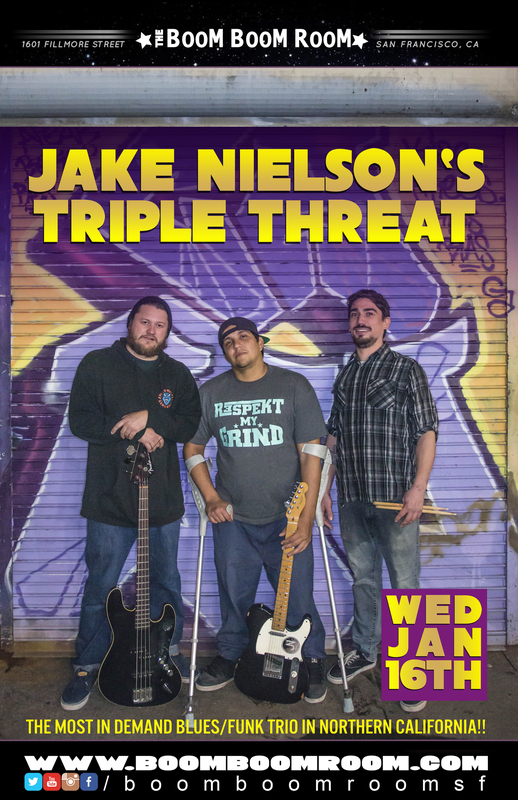 Front man Jake Nielsen has been inspiring people with his talent and ability to rise above all obstacles since he was very young. Generating a lot of attention for his live performance, with so much energy and funk you have to get out of your seat and dance! With this album Jake played all over California, opened for big names such as Elvin Bishop, Roy Rogers and Travis Warren of Blind Melon. And also making his international debut in Canada, Also his song 'Drinkn Blues' was featured in a short film called Bondi Blues with Dan Aykroyd. These days Jake is touring with Kyle Talty on drums and Dave Palmer on bass, two of his oldest jamming buddies. Together these three have accomplished many great things! And also bringing back his reggae roots between the funk and blues!